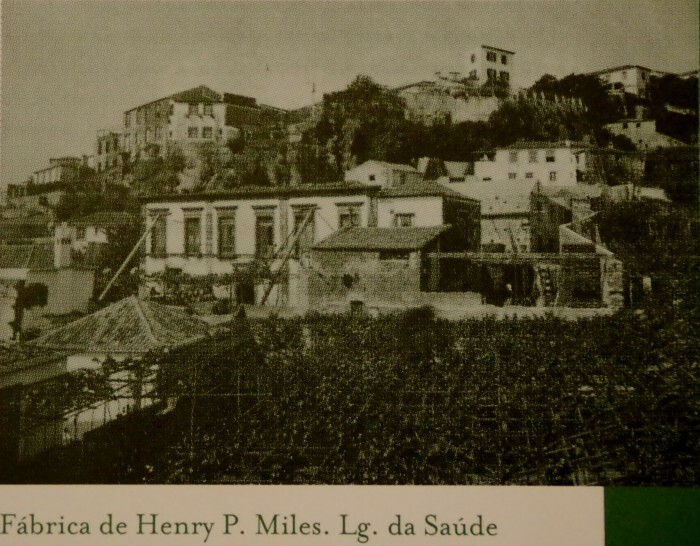 Formerly Rutherford and Brown, dating back to 1814, Miles Madeira wines is another long established Madeira wine shipper, and was purchased by the Miles family in 1872, becoming Rutherford and Miles and today it is marketed as Miles Madeira. The Miles Madeira wine brand is a long established offering of some considerable provenance from one of the several Anglo-Madeiran wine producers that once dominated the industry. Today it seems to be positioned at the value end of the market, and while there may be vintages of age still in stock, the majority of effort in promoting Miles is directed towards the younger range of wines. Blandy’s, part of the Madeira Wine company is the most prominent and popular of all the wine lodges in Funchal, with its excellent visitor centre in a former monastery offering conducted tours a tasting room and shop. The range of Miles Madeira wines can be found at the Blandy’s wine lodges in Funchal and at Madeira airport. The picture below shows the original Miles Madeira winery. Here you will find wines from the Madeira Wine Company, that is a long standing amalgamation of the Anglo-Portuguese Madeira wine producers: Blandys, Cossart Gordon, Leacock’s and Miles. The most prominent and popular of all the wine lodges in Funchal, with its excellent visitor centre in a former monastery offering conducted tours a tasting room and shop.